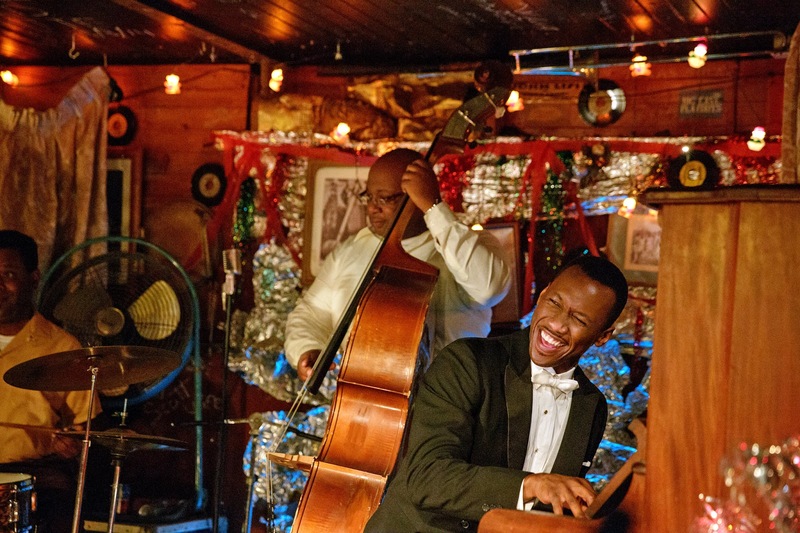 One of the moments in “Green Book” that reveals the most about Donald Shirley — a dandified, erudite piano virtuoso whose career was impeded by racial discrimination — doesn’t have anything to do with music, or much to do with race. This movie, to be released on Nov. 21, tells the unlikely but basically true story of the friendship between Shirley (Mahershala Ali) and Tony Vallelonga (Viggo Mortensen), a working-class Italian-American from the Bronx who was hired to chauffeur the New York musician on a 1962 tour of the Jim Crow South. As Tony drafts a letter to his wife one afternoon, Shirley throws him a scornful glance. “It looks more like a piecemeal ransom note,” Shirley says, telling Tony to transcribe what he’s about to dictate. Then Shirley’s tone turns around. He unfurls a mellifluous, heartfelt profession of love, which Tony scribbles down ravenously, capping it with his own signature. Shirley’s fine with that. But when Tony adds his typical ending — “P.S., kiss the kids” — Shirley looks stricken. “That’s like clanging a cowbell at the end of Shostakovich’s Seventh!” he says, trying to guard his work. “Green Book” is not a biopic, but throughout the film, Tony wrestles with the question of who exactly Shirley is. A hint of an answer emerges in that moment: an artist of extravagant gifts, quiet bitterness and, when given the means to express it, generous romanticism. Shirley grew up in Pensacola, Fla. (not Kingston, Jamaica, as promoters insisted), in a well-off family, his father an Episcopal minister and his mother a teacher. From the start, he was a prodigy and fully expected to ascend to the concert stage as a classical pianist. But some doors remained closed to an African-American performer, even in the North, and his career turned out differently. Today, Shirley, who died at 86 in 2013, appears relegated to the background of American musical history. This musician — who had never been to graduate school but was known to audiences and friends as “Dr. Shirley” anyway, possibly a reference to his two honorary degrees — debuted on the concert stage at 18, playing Tchaikovsky’s Piano Concerto No. 1 in B flat with the Boston Pops. But a few years later, the impresario Sol Hurok, who, paradoxically, had helped Marian Anderson break the color line as an operatic diva, told him that a black pianist wouldn’t be accepted in the United States, and pushed him to adopt a pop repertoire. Shirley did manage to perform as a soloist with symphonies in Detroit, Chicago, Cleveland and elsewhere. But he took Hurok’s advice, and embarked on a career that stayed largely stuck in the lukewarm waters separating jazz, cabaret, spirituals and chamber music.